The Real Techniques Deluxe Illumination Set, featuring some of their must have brushes from the beautiful Bold Metals range had been on my wish list since last Christmas. Around a month ago I saw the set pop back up within the Boots 3 for 2 Christmas gifts, yet priced at £100 it was most certainly out of my price range. However, yesterday, I noticed that the set had been entered into their Star Gift of the week, which had saw the price come right down to £40. I thought about it for an hour and then decided to put by boots on and head off out into the cold to pick up a set. It was a bit naughty considering we are so close to Christmas and that I had just purchased my blog re-brand, however, it was too good a deal to miss out on. Having had such a positive experience with Real Techniques for a good few years now I have high hopes for the set and hope that they are just as good as previous brushes from the brand. Whilst this is not a review as such (I haven’t had chance to use them yet). I really wanted to pop up a post asap just in case you felt inclined to pick up a set for a loved one, or indeed yourself this Christmas whilst they are such good value for money. To my knowledge the Boots star gift is only around for a week before it changes to something else so if you want them for this price then I would head on down to your local store or order them online now. 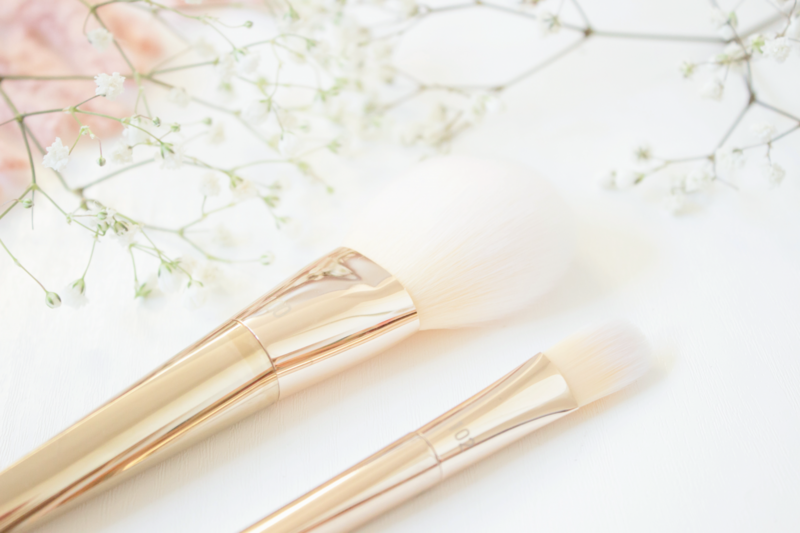 The two gold brushes from the collection consist of the 100 Arched Powder Brush and the 102 Triangle Concealer Brush. 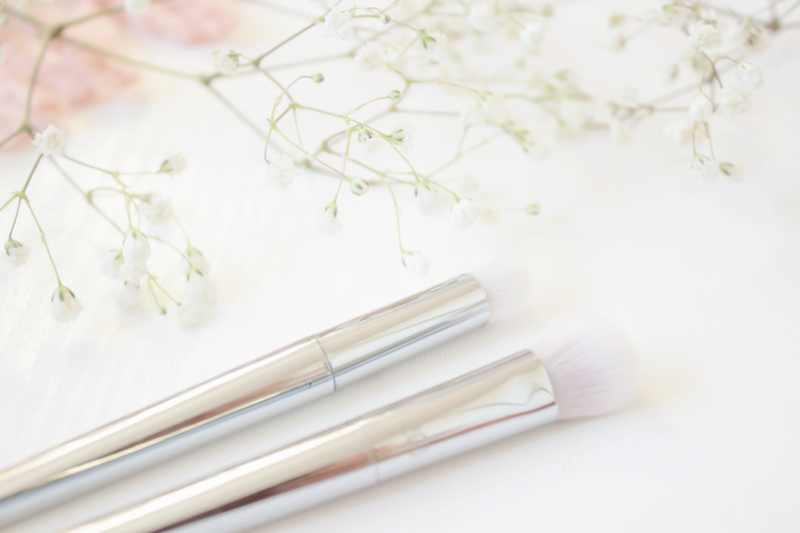 The powder brush is so soft and will be perfect for applying loose powder and pressed. The concealer brush is very different to any other that I have used in the past. It has a flat edge which allows you to cover larger areas, and then opposite to this there are angled edges which will allow you to work around the eyes and nose. Personally, I am slightly sceptical about this brush on first appearance, however I am looking forward to giving it a go. If you have tried this one in particular then please do let me know, how do you use it best? The gold hardware on this is of course appealing to the eye, they visually look beautiful. The gold brushes within the whole collection are for base products such as concealers and foundations. The second set of brushes are copper and they are beautiful. The 301 Flat Contour Brush is one that I am most excited about as I really want to experiment more with contour but never really have the right tools to do so. This brush is super soft like all of the others however it has some rigidness to it which should work well when creating a contour in specific. 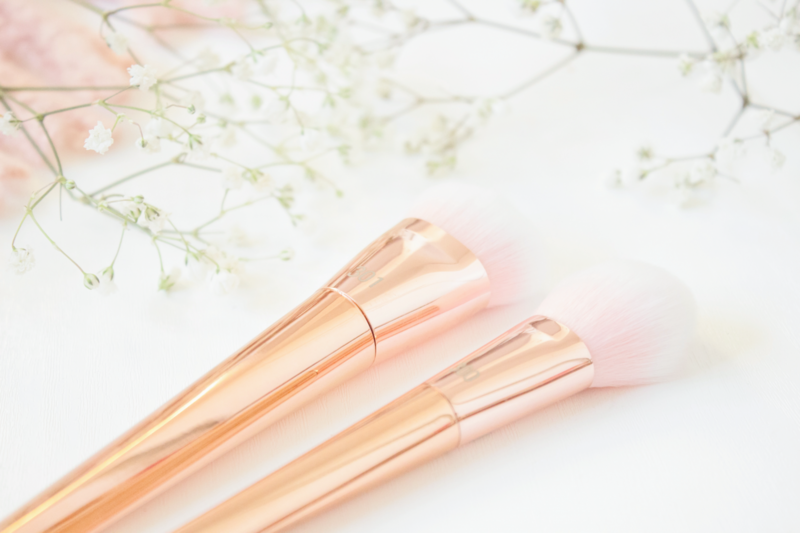 The same also goes for the 300 Tapered Blush Brush, especially in respect of highlighting as I previously purchased a fan brush from another brand but have struggled to get to grips with it; I am hoping that this works better for me. 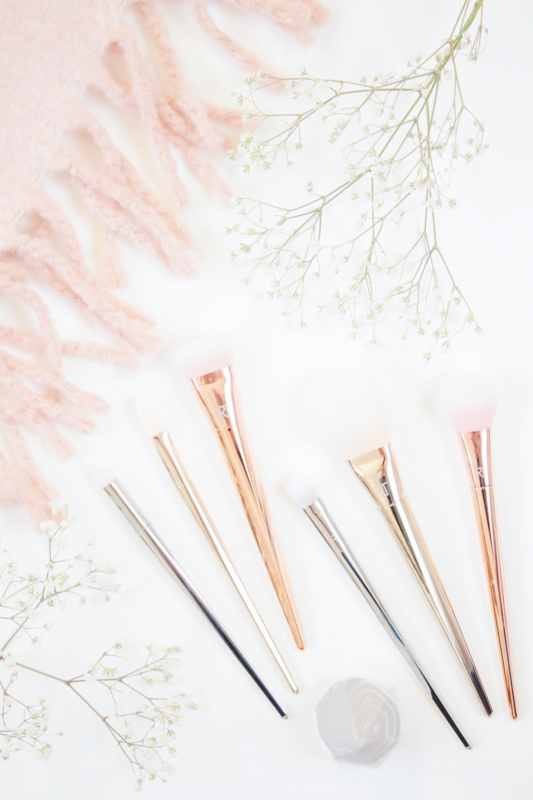 The copper brushes are tailored towards products such as blush, highlight and bronzer. When it comes to eye brushes these are what I always find myself seriously lacking, mainly because I don’t clean them as often as I should. I use eye shadow every single day so really when you think about it, if you are going between lots of different palettes, shades and textures then you ideally want a clean brush every time. Practically, this is not doable for me, mainly because I don’t have that many and they don’t dry in time for the next day. The 200 Oval Shadow Brush is the one that I feel I will use the most out of the two, this is typically the style in which I am used to. The 201 Pointed Crease Brush however is very different, it’s also quite a short brush in terms of the bristles so I am curious to see how this works. The silver brushes, as you may have guessed by now as there is a running theme here are all typically for eye make up. This year I finally tried for the first time a face sponge. I now know what everybody was talking about. At the moment, I have the Real Techniques Miracle Sponge which I think is fantastic, however it is looking a bit worse for wear as I was a bit rough with it when I very first washed it; it has never been the same since. 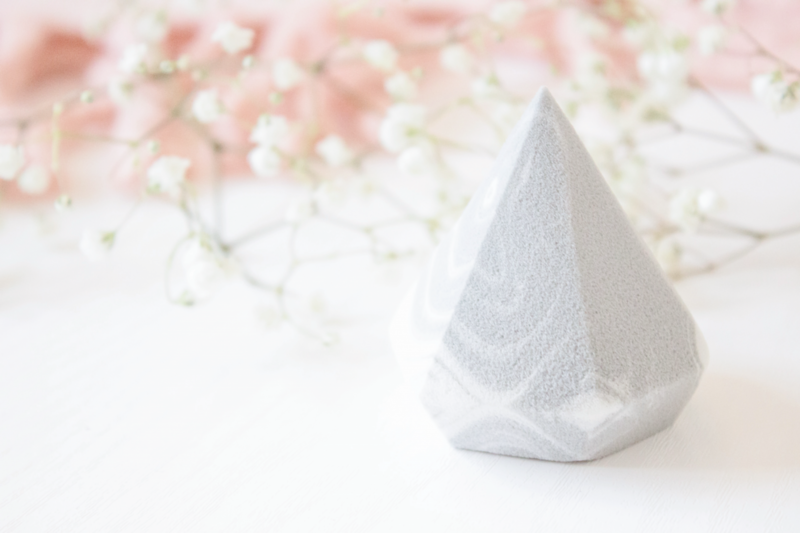 The diamond sponge has 13 sides to it, designed so that you can use multiple products at any given time. I am not too sure if in practice that will work, I don’t even use 13 products on my face, however I will be giving it my best shot. For foundation, I have to say that I rarely reach for a brush now; the sponge has taken over. As much as I was reluctant to admit it, everybody was right. There is a little stand which also comes with the set, initially I thought this was for the brushes however, I have now come to the conclusion that this is for the sponge as it sits nicely on it whereas with the brushes in it just falls over. The Real Techniques Deluxe Illumination Set I can’t imagine will stick around at the price of £40 for very long. It is also a set which I only seem to see available at Christmas time so be sure to pick it up soon if you want to take advantage of the deal. You can find it at Boots here.